The emphasis these days is often on the latest and greatest technological tools for employee recruitment. There’s an app for this and a cloud solution for that. Yet, there is an old standby tool that’s actually quite powerful, and highly underutilized. When it comes to finding job candidates, your local newspaper has tremendous potential. Job advertising is the most obvious way to take advantage of what your local newspaper has to offer. If you’re an employer recruiting locally, you’ll definitely want to consider this method of advertising. 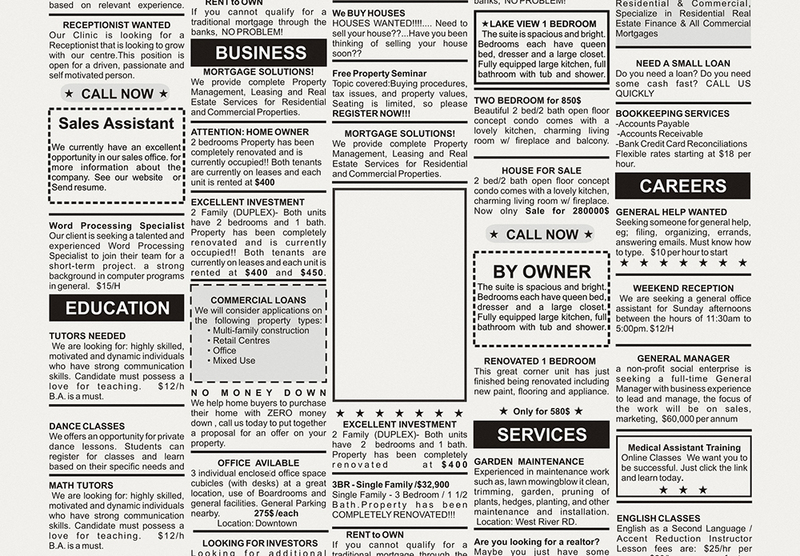 Newspaper help-wanted ads reach job seekers in your community. Increasingly, newspapers offer a variety of advertising options. These include print and digital, print only, digital only, targeted marketed campaigns, and more. Newspapers usually offer packages at different price levels, with attention to maximizing your investment and results. Job ads are only one source of candidates. Your newspaper contains a wealth of information about people in the community. Article after article is filled with details about and quotes by knowledgeable individuals. Where do you start? The business section often includes a spotlight feature, which highlights the accomplishments of people in the community. Award recipients, new board members, book authors, and others are among those mentioned. Any or all may be potential job candidates. You’ll also want to be on the lookout for articles by guest authors. If someone from the community writes about a topic that pertains to your business, and the author’s background suggests expertise, he or she may be a candidate for a current or future job opening. These are only two examples of how to use newspaper articles to find potential job candidates. When you read the paper with attention to candidate sourcing you’ll be surprised at the number of qualified individuals in your community. In addition to focusing on people in the news, you’ll want to pay attention to companies in the news. Why does this matter? Business expansion means increased competition for candidates. On the other hand, companies that are relocating or going out of business may be an immediate source of candidates. You’ll want to consider the long-term as well. For example, a newly launched program at a local college or trade school could be a source of future job candidates. Your local newspaper is also a source of community events. Chamber of commerce events, job fairs, college open houses, fundraising events, and other get-togethers and celebrations are all opportunities to network. As important, they allow you to find out more about your local community—the place where your business will thrive and grow, when you find the right job candidates.